Because the news should be objective, clear and data-driven. « Where Is The Wealth In Miami-Dade County? London has highly concentrated wealth in its central boroughs, with average incomes in Kensington and Chelsea and the City of London at £137,000 and £117,000, respectively. 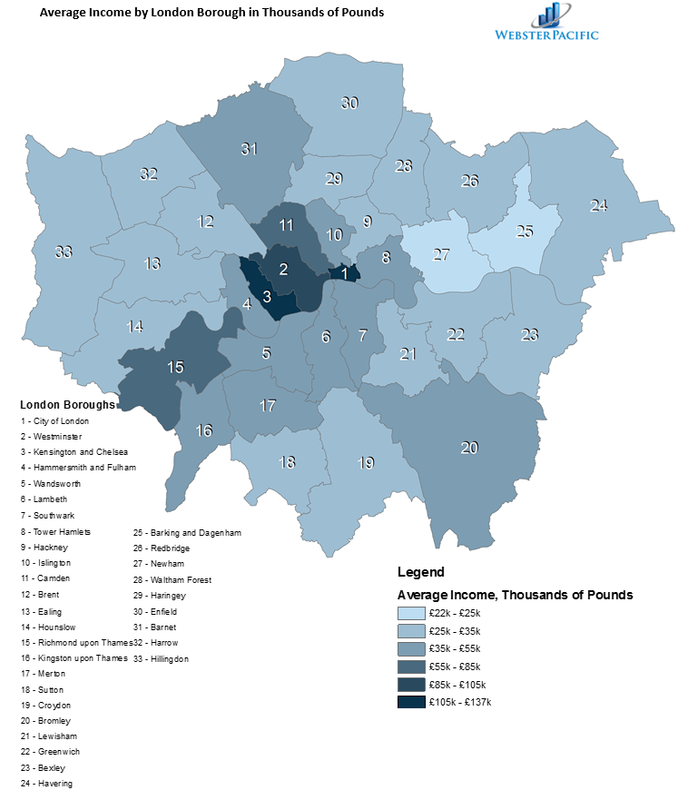 Barking and Dagenham has the lowest average income: £22,800. 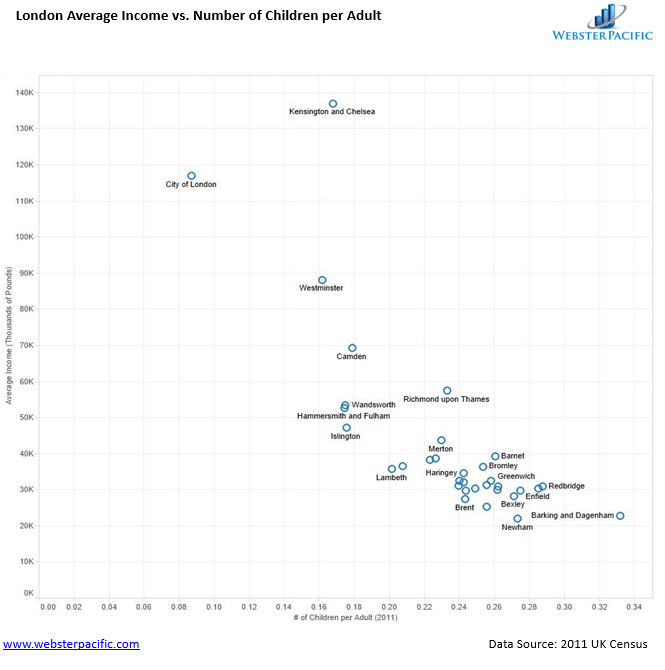 Income in London is highly, inversely correlated with the number of children per adult. Barking and Dagenham has almost twice the number of children per adult (.33) compared to Kensington and Chelsea (.17). While the idea that wealthier families have fewer children has been extensively studied, the scale of difference here is quite striking. This entry was posted on April 7, 2015 at 5:12 pm and is filed under Data, Demographics, Income Distribution, Maps, Visualizations. You can follow any responses to this entry through the RSS 2.0 feed. You can leave a response, or trackback from your own site. Nice suggestions ! BTW if you a a form , my friend used a template version here http://goo.gl/3zafVh. There are many things to consider when talking about search engine optimization, when talking about marketing. The industry has changed considerably in the past fear years, one example is the that mobile searches have surpassed desktop searches. This gives a mobile search engine ready site more priority then before. It is also important to know your audience and the industry a year from now, and where it is heading.